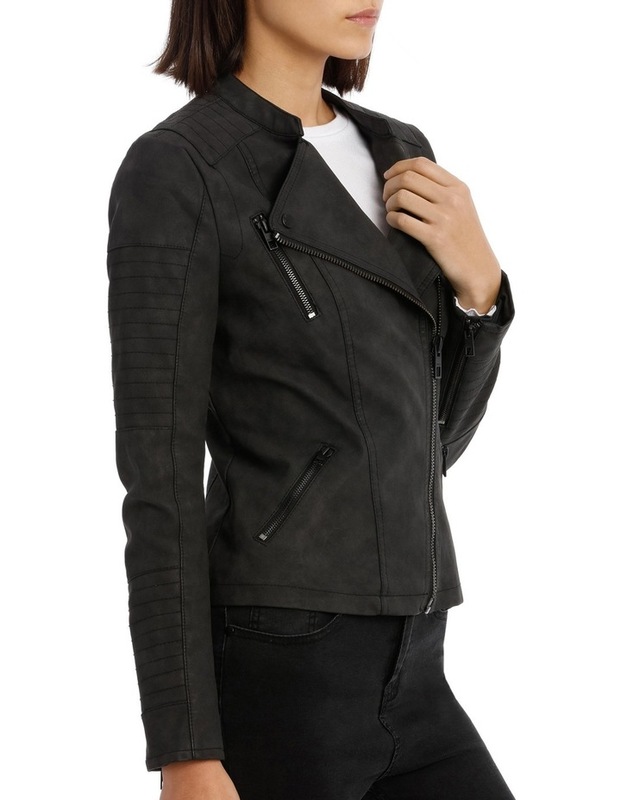 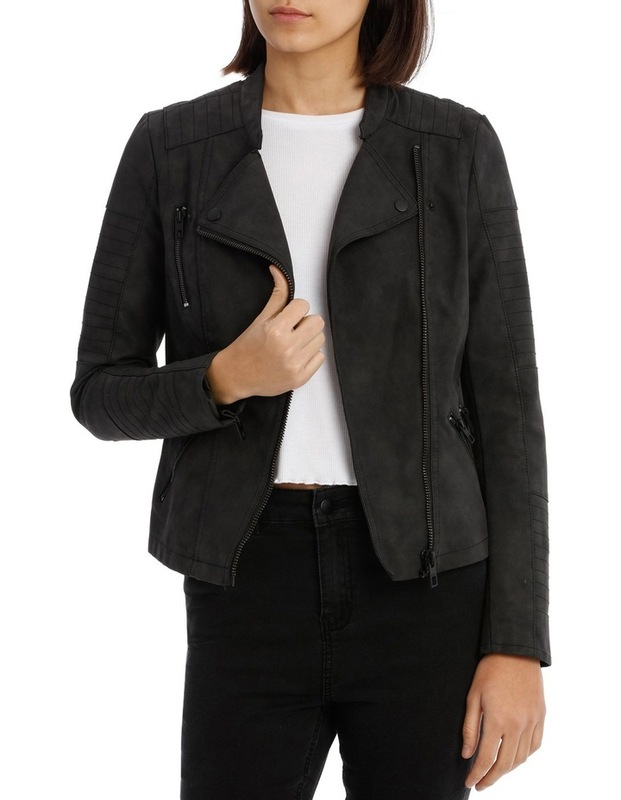 Short faux leather jacket, with stand up collar, quilted detail at shoulders, metal zippers at sleeve openings. 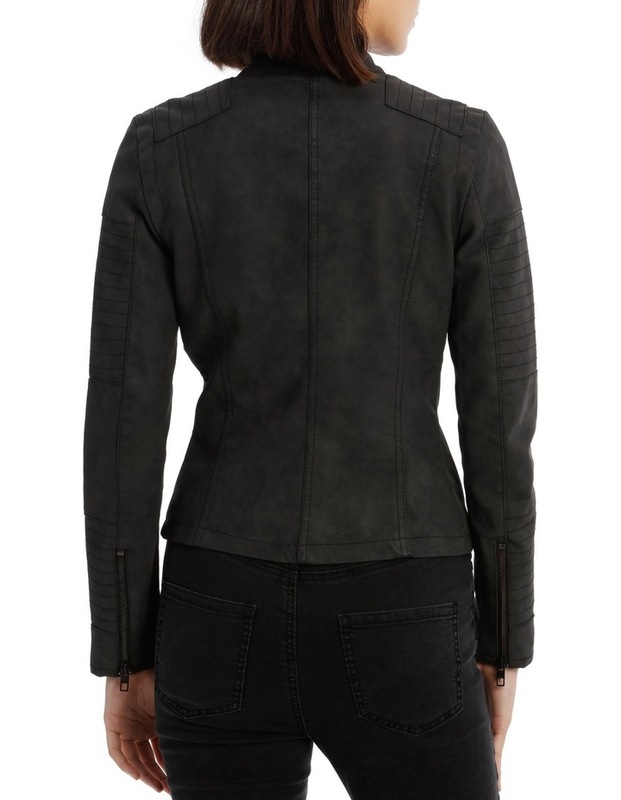 Snap button fastening, asymetrical front zip metal detail. 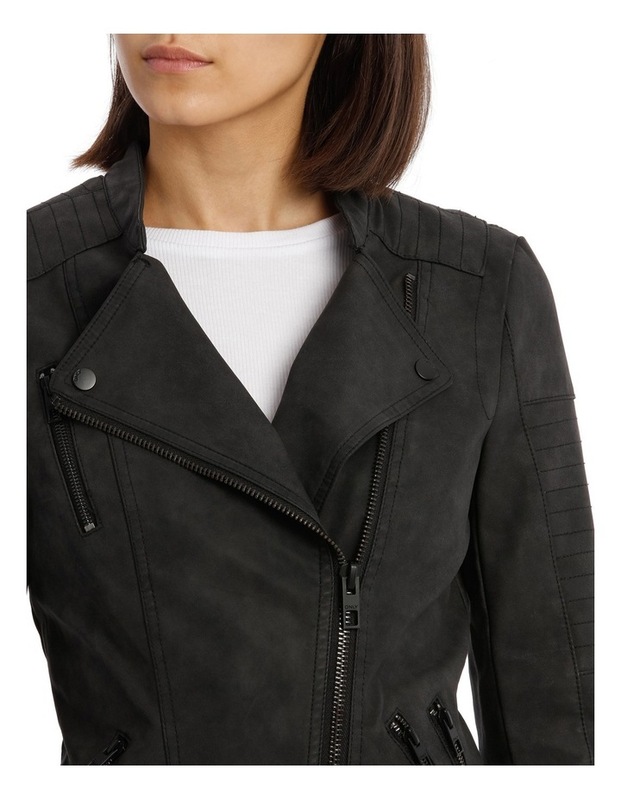 2x pocket zip details on left side and one on right side detailing.